Most online store owners are aware how crucial it is to rank high in search engine results page. However, not all of them have a clear insight of eCommerce SEO best practices that ensure an everlasting friendship with Google. I won't reinvent the wheel saying that only after providing a top-notch web page optimization, you can expect your SERP results blossom forth. It`s clear as a day that Google likes those who are well-aware of SEO strategy and make the best use of it not trying to exploit it. Taking into account that SEO is constantly changing, which tips may guarantee the efficient outcome? That`s the question we're going to uncover! Eager to become Google`s pet? Be sure that Cart2Cart is a good companion to help you with getting the website in top rank positions. We're pleased to share with you the eCommerce SEO guide that will show you how to appear in the top lines of search results and drive your sales. Captivated? Let`s get started! Keywords are words or phrases that describe the content of your website. However, are they all equally effective? The answer is blindingly obvious because keywords “luckiness” depends on its request popularity. At this point, the customer is your main driving force in satisfying eCommerce SEO best practices! Let`s delve deeper into it together. Your page is optimized with keyword "big pink Vietnamese boots." Undoubtedly, it sounds outstanding but can it be somehow competitive among users` queries and who will enter such phrase into Google search? I bet you, not many. Before bursting with excitement to optimize your website for the most relevant keyword, check its search popularity. There are multiple ready-to-use tools, for e.g., Google AdWords Keyword Planner Tool, Google Trends, Wordtracker’s Free Basic Keyword Demand that will help you to hold a distinguished position in SERP. Concerning the keywords structure, it is recommended to stick up to the principle: the longer, the better. But don’t go too far 🙂 Keep in mind that people are specific and conversational in their Google queries. Create 3-5 word “long-tail” keyword phrase that`s considered to be a happy medium to achieve the place of honor in SERP. Another tip for eCommerce SEO best practices is to follow the keyword placement. Keep in mind that search engines determine the relevance of a particular document according to a query, by measuring how the page content corresponds to query. To avoid any mishaps, your primary keyword should appear in URL, SEO title, meta description, tags, and headings. Feel free to create some keyword variations to make your website more readable and less propagandist. Lots of websites ignore this SEO tip, not even taking a chance to benefit from such an awesome chance to grab user`s attention. A good opportunity to boost the CTR on your website is to provide an eye-catching meta description. It doesn't directly affect your SERP position but attracts the users by enchantingly beautiful phrases. What's more, Google highlights the keywords in bold, that`s quite advantageous. To ensure eCommerce SEO best practices, you need to make 100% sure that users (and Google, but users go first!) would instantly understand what the page is about - no ambiguity is acceptable. Your title should correspond with the content of your web page. If your site is contextually mixed, search engines will accept these blended messages as alarming signal. To better make landing pages even move comprehensible, avoiding uncommon terms and extraordinary names for your products and their descriptions. Check what people enter in Google search and use the exact matches to your web page. Please, save your muse for creative ideas for another time, use easy-to-comprehend language. Determine your target audience and create the content considering its language spelling peculiarities. For e.g., color(USA)-colour(UK). Such deceptively insignificant things can deeply influence your ranking results. Сontent indexability is critical for running SEO practices. The main reason your low SERP position has a simple explanation and solution, of course. Bare in mind that the content buried inside rich media such as Flash files, Images, Java applets, Ajax is mostly ignored by search engines and accepted as empty files. If your website is full of everything except the HTML text, get ready to not find it on top places of Google SERP. There is a handy solution to establish a developed formatting or visual display styles; I mean providing the alt texts for images and add Flash or Java plug-ins. If there is a video or audio content on your website, please provide a transcript to it. Regarding most useful eCommerce SEO best practices for high Google ranking, one must remember about URL optimization. The search engines, the same as customers, need to know what is your page about. They crawl through your URLs construction to check up its relevance. It`ll be a good idea to customize the URLs, providing the fullest comprehension of your content. Make your URL as short as possible and enter appropriate description. Keep it static, without using capital letters and don't forget to insert the primary keyword into URLs. When speaking about link structure, unfortunately, hundreds of thousands of sites establish unacceptable for search engines navigation. 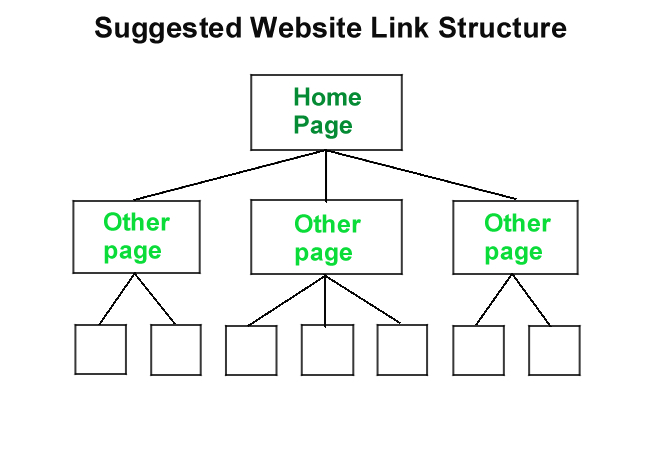 The next important point in our eCommerce SEO best practices is the establishment of clear links hierarchy. It means that each of your pages should be reachable from at least one static text link. In such a way the “link juice” will spread to all your eCommerce site relatively equally. You may have an impressive content, valuable keywords, good marketing but does it make sense if the “spiders” have no way to reach them? The image search is strikingly popular. Customers are used to surfing the Internet for a beautiful product picture before purchasing it. Thus, all advanced eCommerce websites add the ALT tags with the keywords to all images. It becomes a sufficient SEO method to drive traffic to your site. Good reviews instill trust and confidence in your customers. It's some kind of a proof that you offer high-quality and useful products. Attracted customers lead to efficient conversion rates, agree? Amazon is the most outstanding example that impressively takes advantage of this useful eCommerce SEO tip. It`s true that social media is essential for building your brand. If you`re actively engaging with customers, enlarging your community and sharing its content, Google will appreciate it! According to the recent HubSpot research, we may see that the social media has a far higher rating in comparison to outbound marketing. Simply add the social buttons to your home and product pages, and you'll gain an extreme flow of new audience! Cart2Cart puts particular emphasis on the usage SEO-friendly platform. This tip is underestimated, though is one of the most valuable for eCommerce SEO strategy. If the chosen shopping cart doesn't have the necessary out-of-the-box functionality, all efforts will be in vain. This is the most well-considered tip for eCommerce SEO best practices. Based on recent research of the best eCommerce platform for SEO we can emphasize the 4 most popular SEO-packed shopping cart platforms in decreasing manner: Magento, WooCommerce, Shopify, BigCommerce. All of above-listed solutions automatically generate the navigation of links, page titles, URLs, meta description. It`ll assign the product name to the ALT tag without user's interference. Among all of mentioned above eCommerce SEO best practices, stands out the important one - engaging and informative blog about your products or propagandized lifestyle. Share your experience with readers, create high-quality posts, demonstrating users that you're professional at eCommerce industry. People are striving to get social proof that you are customer engaged. Such is the reality. Based on it, Cart2Cart defines WooCommerce and Shopify platforms to be the outstanding representatives of advanced blogging functionality. You should be careful with your keywords usage. Google doesn't appreciate keyword stuffing and will penalize you. Which eCommerce SEO Tip Should I Follow First? Profound eCommerce strategy starts with basics. We`re strongly convinced that SEO-friendly platform is the most definable aspect to achieve the successful outcome of your efforts. Thus, before getting to on-page optimization, make sure your current shopping cart doesn`t lack technical part. Start a FREE Demo to 75+ shopping carts solutions and make a fresh eCommerce start! 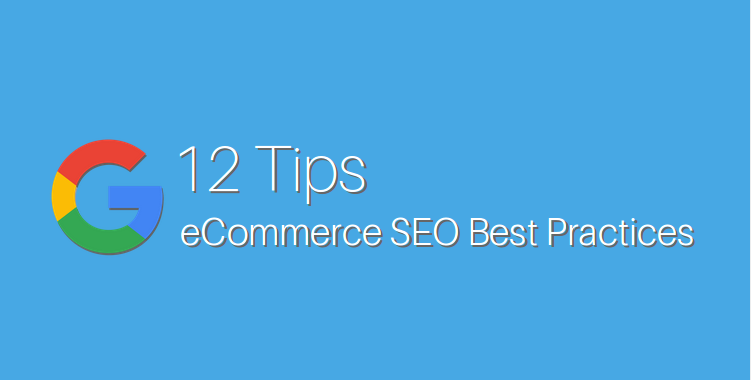 4 thoughts on "eCommerce SEO Best Practices | 12 Tips"
Nice post. I study one thing more difficult on totally different blogs everyday. It can always be stimulating to learn content material from other writers and practice somewhat something from their store. I’d prefer to use some with the content material on my blog whether or not you don’t mind. Natually I’ll provide you with a link on your web blog. Thanks for sharing. Hi, thanks for your feedback. I am in love with eCommerce blogs and always read the latest news on shopping carts currently available as well. This is a quality of a professional writer:) I would be happy once you site our blog in your articles. Looking forward to hearing from you soon! I think keyword research is more important than any other thing in the e-commerce SEO. If we are creating a blog then we have to focus on all techniques, but in an e-commerce website, we have to mainly focus on keyword research. Thank you for your comment. For sure, SEO and keyword research is an ongoing process in the eCommerce industry. It takes time, as well as patience to research and implement the keywords and more time for Google to pick up on these changes.